As we prepare for busy weeks ahead of Christmas, we thought we would give you a news update about what’s been happening at Elgar Shirts. October was a lively month for us, full of events. We started the month with the Unconventional Market in Milton Keynes, further south than we normally venture, and then the Cambridge Living History Fair. These events were full of interesting and entertaining stalls and we met lots of keen re-enactors and history fans. Lastly, we attended the Whitby Goth Weekend. Despite the bitter cold, customers were in full costume and full of good spirits. As you might imagine, we sold a lot of black! We return to Whitby in February for the Steampunk Weekend so if you’re coming along – see you in the Spa Pavilion! 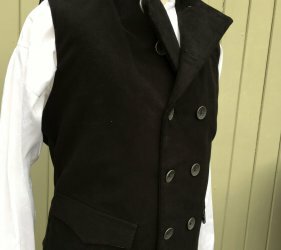 We’ve made some changes to our 18th Century double-breasted waistcoat and it’s looking good. We’ve made it slightly longer than last year with a lace-up adjustor on the back to ensure a good fit. We also have a new lining in these waistcoats, a beautiful William Morris design peacock print in turquoise. 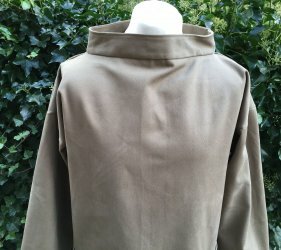 Our smock, now comes in khaki, in a heavy cotton twill, the same cloth we use for our kilts. This is a great piece of clothing – warm, protective and reversible. 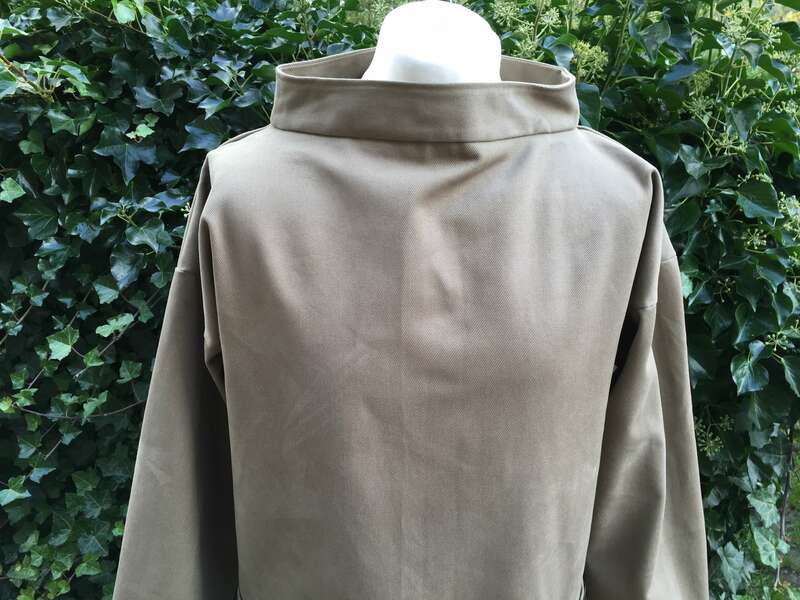 The heavy cloth makes it a hardwearing choice for wear during practical work. 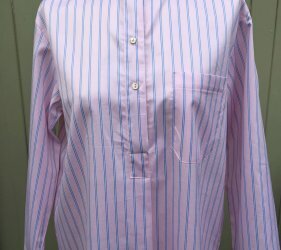 Make sure you look at our nightshirt sale. 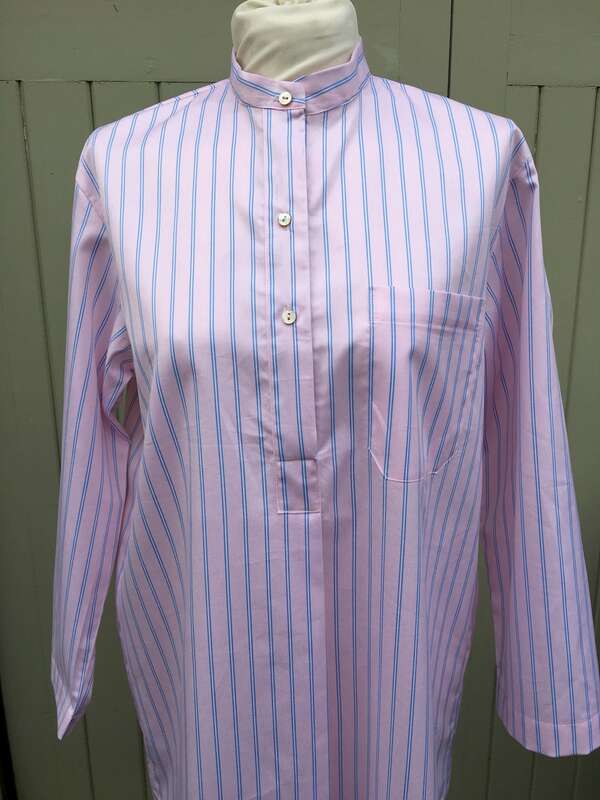 All nightshirt prices are now reduced – to make room for the development of new products for 2019. Our nightshirts are made in high quality, natural fabrics designed to last and retain that soft quality for years. The natural cotton used is also suitable for those with sensitive skin. Nightshirts make a great gift for Christmas, so don’t delay! Once they sell we won’t be stocking them again, although we will make special orders for customers if requested. In November we are working hard to complete our orders ready for Christmas. 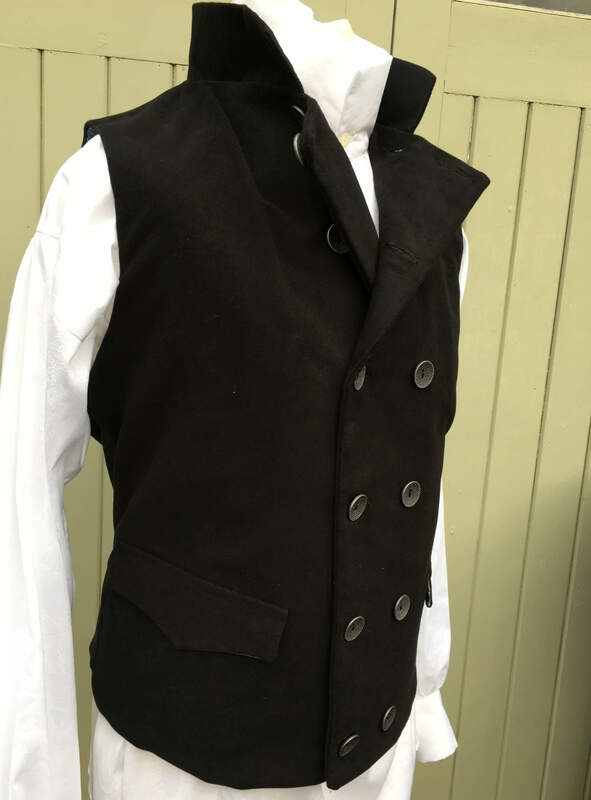 We’re also looking forward to attending a few events, especially The Original Re-enactors market, known as TORM, a wonderful event we attended for the first time this spring. For queries about our clothing or where to see our products you can email us, or get in touch via our social networks on: Facebook, Twitter or Instagram.